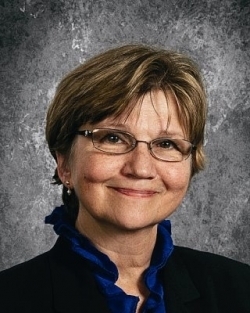 Under her leadership, ICS was awarded several prestigious national and regional awards, and became one of the most coveted public charter schools in Philadelphia, with a waitlist of over 1,000 students. Jurate's professional interests include global education, second language acquisition, and leadership development. Could you elaborate on your role with Independence Charter School? I was especially excited by the challenge of helping to develop a global school that is in an urban setting and has a blind lottery process for entry. 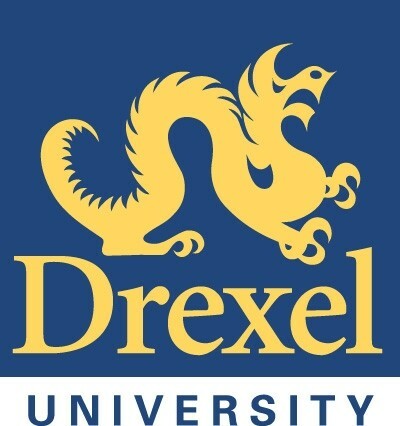 As an urban educator, this was a dream come true: providing a global learning opportunity for any students in Philadelphia lucky to enter through a lottery. Winning the Goldman Sachs International Prize of $25,000 in 2008 for the school underscored that this global model was possible. I have to say that my work in global education was inspired by my parents, who were political refugees from Soviet-occupied Lithuania. On a regular basis, our work in lobbying for human rights in Lithuania informed my work in thinking about people globally. Working as the educational leader at Independence allowed me to develop a network of local, state and federal partners, eventually leading to my discovery of the Global Philadelphia Association in 2011. What got you interested in education and teaching? What got me interested in education and teaching is the “calling” that people talk about when it comes to committing your professional life to make a difference. I have worked with many, many teachers in my 40-year experience, principals as well. What you always look for is someone who can’t help but get excited about teaching and learning and the whole child. In my case, I was interested in special education because I wanted to give back, feeling I was blessed with a great family and opportunities, but I also was very fascinated. What was challenging students, kids with various disabilities or learning challenges and how could I help bridge gaps. That’s how it all started, but I can remember way back when I was a kid just really getting excited teaching even fellow classmates. My first job as a teacher was in Lithuanian Language Diaspora schools and I was 16. What were the greatest challenges in your career as an educator? When I was a younger educator, it was what was right in front of me: child abuse, families, and poverty. Or perhaps seeing teachers who weren’t so great or maybe seeing principals who weren’t involved. With experience, you get a 30,000 feet view and really the greatest challenge as a principal was the bigger picture things: lack of funding, societal changes, and support that needs to be there. I will also say though that as a principal one of the greatest challenges was finding great teachers because it is a really hard job and one that requires being committed to seeing the long view. I think the field of teaching is undervalued and teachers are underpaid and I think that makes for it harder to recruit teachers into the field. A great teacher is worth a million bucks. It is just transformative! 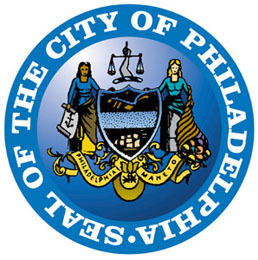 The city of Philadelphia was designated as a World Heritage City in 2015. What does it mean for you as an educator to be working in a city with such a title? Had Global Philadelphia said ‘Ok. We got some posters, t-shirts, and websites for people to come and visit World Heritage’, if it was just that, I would have been pretty upset. However, that was not the case. Global Philadelphia has embraced the honor and the challenges that come with the designation of World Heritage City. I understand how much work was involved to achieve this honor, but what it means to me as an educator is the fact that this is enabling, that it makes it possible for educators and educational leaders to rattle the doors and windows to say, ‘now we need to do things for kids to make global citizenship possible’. What Global Philadelphia has done, it has set up a runway for making possibilities a reality for a complex city like Philadelphia. There’s an organization called PACIE (Pennsylvania Council for International Education), which is part of my previous work, and they’ve worked very well and are close to creating a global task force at the state level, they are just waiting for action from the State House of Representatives. They have worked on this for many years, which shouldn’t have been the case, but it is a challenge in the U.S., right? So, the World Heritage City designation enables and legitimizes the next steps which hopefully will be funding and public and professional interest. What do you think it means to be a Global citizen in Philadelphia? First of all, it means that I, as the citizen, need to be seeking out and finding ways to go beyond to learn and contribute to the rich heritage in this fair city. I have to go beyond and understand how Philadelphia is changing and seek out and read and find connections for action. I think there is an individual responsibility as a global citizen. I think that in the inverse, what the city, corporations owe us are opportunities for individuals to grow that way. So what are you (city, state, corporations) doing to embrace and enable world heritage as a living thing? Of course, the city has great parades and celebrations, but can there be more happening? How can it be more accessible? There needs to be more access at all levels: for someone, it may be cooking, for another, its technology innovation, for someone else, it’s women’s rights, and so on. For Global Philadelphia, I think it is a great organization for people to come together and having Global Philadelphia to be able to be the center of that undertaking. John F. Smith III and Zabeth [Teelucksingh] and the rest of their team have done a great job. What advice would you give to someone who wishes to be an educator? My advice would be to decide if you are going to be an urban educator or not. I personally think it takes a special person to be an urban educator; it’s someone who is willing to see growth in increments, someone who values diversity of all kinds, where kids come from, what kids need. Well, first, you have to be a person who is willing to be open-minded fair as well as being a lifelong learner and secondly, you have to love the art of teaching and I think you have to spend time with kids to find out that’s what your place is. There are some people whose heart is in the right place but can’t manage to be in front of a classroom of 20-30 kids and do well, they’re great people but their role is going to be somewhere else. Also, to learn as much as you can about all the different things that make up kids and families. It’s a great giveback to society.